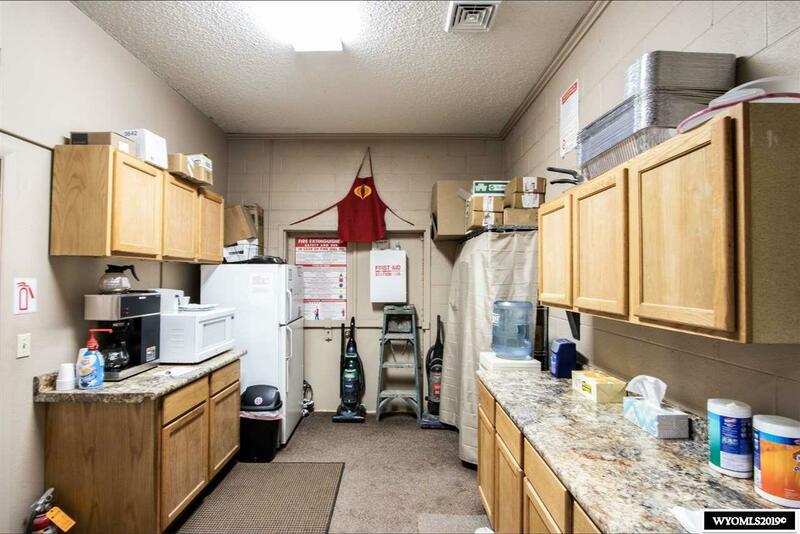 Prime location with easy access to I-25. 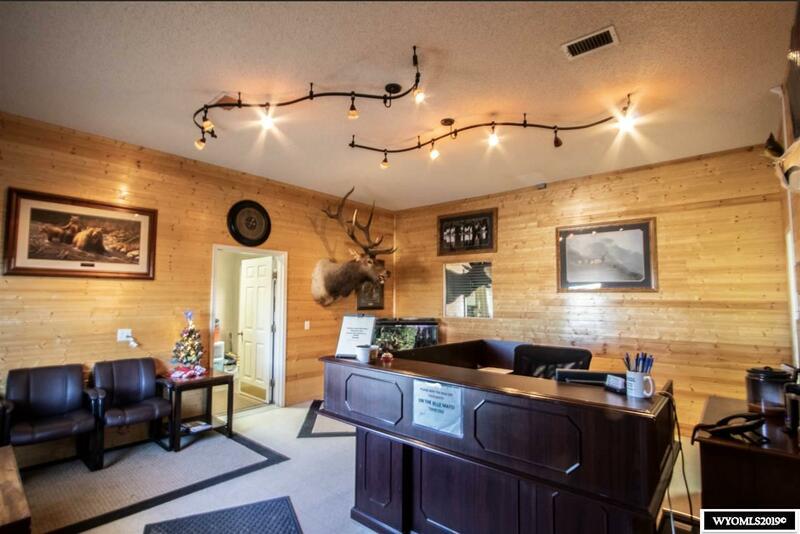 3 buildings totaling 7016 ft. including a 2000 ft. office, 3000 ft. Warehouse, & a 2016 ft. Post Frame Storage Building. Warehouse has Three-Phase Power & a 16 & 14 ft door. 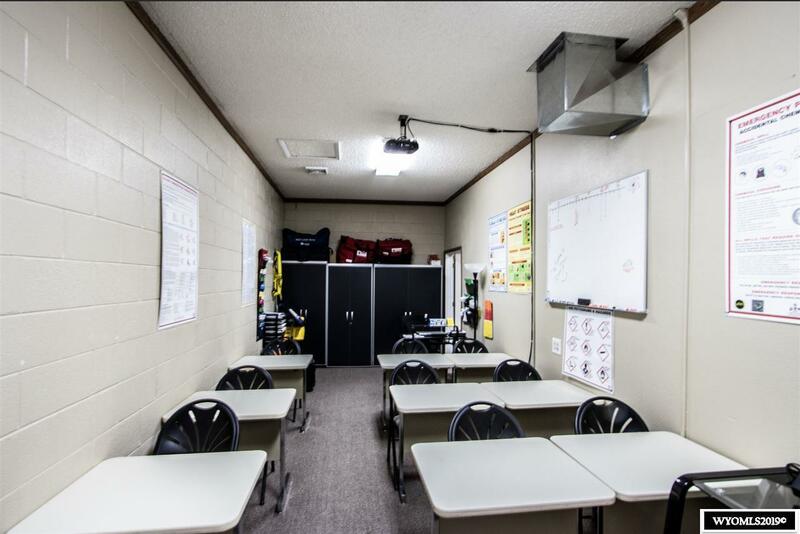 1.95 Acres fully fenced with ample parking & room to turn equipment around. 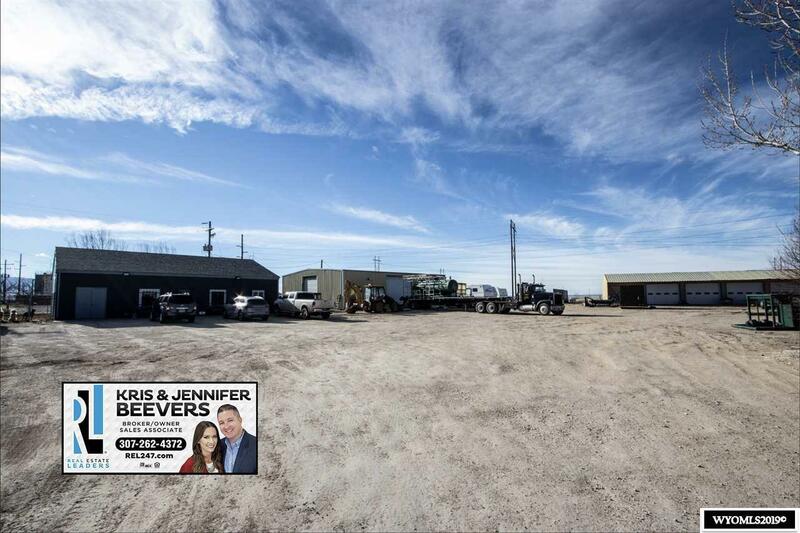 Call Kris & Jennifer Beevers ~ Real Estate Leaders @ 307-262-4372 to see this property! Visit www.REL247.com for more information & to check out the "3-D Virtual Tour of the Office & Exterior Yard/Shops.